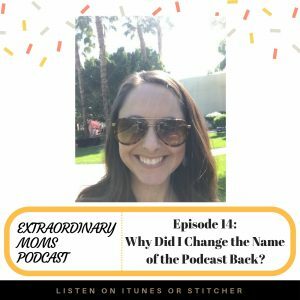 Episode 14: Why Did I Change the Name of the Podcast Back? You may have noticed, the podcast is back to being called Extraordinary Moms Podcast. Today I’m sharing more about the WHY behind that decision. It’s not one I took lightly, but since making the shift I feel so good about it and it feels so much truer to my mission. So I’d love it if you would take the time to 1) Make sure you’re subscribed in your podcast app, 2) Review the podcast so others can easily find the show, 3) Screenshot the podcast graphic or your favorite episode and share it on your social media. It means so much to me when you share the show. I love you forever. Thank you for being here. Simple Health is the easy way to get birth control. Alleluia! Get your prescription or birth control plan prescribed online from a legit doctor, and have it delivered to your home. Their prices also can’t be beat, with or without insurance. So give Simple Health a try. Get the $20 prescription fee waived by going to simplehealth.com/emp or enter code: emp at checkout!